Rejoice, Virgin of Kazan, Protectress of the repentant and merciful. Rejoice, imperishable wealth of the persecuted. Rejoice, enduring prosperity that cannot be plundered. Rejoice, unrivaled treasure of true believers. Rejoice, unshakable courage that will not be silenced. Rejoice, cause of gladness even in the Time of Troubles. Rejoice, cause of cheerfulness for the clean of heart. Rejoice, reason for hope even in the gloomiest hour. Rejoice, reason for confidence in the course of salvation. Rejoice, conqueror of the anguish of sinfulness. Rejoice, vanquisher of the agony of time and place. The centuries advance, holy Virgin of Kazan, yet your intercession is ageless and your blessings are perpetual. The city of Kazan was destroyed by fire in the sixteenth century, but your glorious icon was hidden and kept safe from the ravages of this world and from the corrosion of time’s passing. Nothing and nobody can impede the intentions of the Mother of God, and we therefore implore you to preserve us from unfaithfulness during our Time of Troubles. In thanksgiving for your valor in spiritual battle, we say: Alleluia. Rejoice, for your icon was planted in a fertile place. Rejoice, for your image then produced new fruit. Rejoice, for your purity remained unspoiled. Rejoice, for your triumph then touched many lives. Rejoice, bulwark against the destruction of faith. Rejoice, holiness above the cinders of wrongdoers. Rejoice, blessed Virgin not hidden from the virtuous. Rejoice, heavenly face not consumed by horrible fire. When young Matrona told the archbishop that she had dreamed about your icon, blessed Theotokos, the archbishop disregarded her. He did not believe the words of a little girl, nor did he believe in your protection of Christians or your miraculous ways. Help us, holy Mother of God of Kazan, to emulate the simple faith of a child. In like manner, we beseech you to intercede for our country and our cities that we may overcome carelessness and complacency, and thereby we may continually say: Alleluia. Rejoice, trustworthy Protectress of the repentant. Rejoice, assured Benefactress of the merciful. Rejoice, heavenly Patroness of God-loving cities. Rejoice, stable Mediatress of spiritual warriors. Rejoice, for you fear not, but the demons shudder. Rejoice, for you err not, but the worldly plummet. Rejoice, for you never sin, but the enemy burns. Rejoice, for you never betray, but the ungodly divide. Rejoice, for you uplift penitent men and women. Rejoice, for you uphold faithful mothers and children. Rejoice, for you inspire soldiers of Christ. Rejoice, for you encourage bishops and priests. Your glorious icon was taken to the Church of Saint Nicholas – by the archbishop himself, for such was the fruit of his repentance and the consequence of your victory over sin, O holy Virgin of Kazan. When the icon was placed in the church, you immediately gave aid to a blind man. You opened his eyes and he beheld your pure beauty and your triumphant rescue, and he said: Alleluia. Rejoice, for you heal our sicknesses of soul. 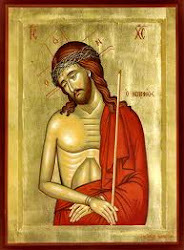 Rejoice, for you cure our blindness to holiness. Rejoice, for you beckon us to true spirituality. Rejoice, for you call us to a life of prayer. Rejoice, for you lead us to right worship. Rejoice, for you show us the way to a sacramental life. Rejoice, for you bless our homes with your icons. Rejoice, for you hear our supplications in the night. Rejoice, for you understand the troubles we encounter. Rejoice, for you strengthen us to battle all evil. Rejoice, for you bring us water in the desert. Rejoice, for you give us shelter amid world wars. We see that you have always been a resolute support to those who walk on the straight path but inevitably incur the hardships of time and place. Most holy Theotokos, many of us are born into situations which are largely beyond our control and not to our advantage. Yet, you are attentive to our nakedness and you commiserate with our pain. You seek us out, even in our ignorance of your care, and you lead us to ultimate victory over all manifestations of misery. We flee to you now, for we recognize your radiance reaching out to us, and we say: Alleluia. In this Time of Troubles, people are fraught with a myriad of forces which pretend to be beneficial to mankind and civilization. Money is preferred over mercy, progress is valued more than prayer, fantasy is a substitute for faith, and egotism is more attractive than goodness. Human psychology is thereby discolored and distorted – such that unwholesome agitators are considered heroes, and upright Christians are regarded as haters. All-holy Mother of God of Kazan, light our way forward through the tangled ropes of society, that we may always worship the True God and say: Alleluia. Rejoice, for you convert our agony into a garden of fragrant flowers. Rejoice, for you transform our misery into a meadow with sparkling brooks. Rejoice, for you transfigure our woes into hope and charity. Rejoice, for you change our distress into peace and prayer. Rejoice, for we give thanks for your incomparable mediation. Rejoice, for you unceasingly intercede though we know it not. Rejoice, for the centuries pass by but you remain constant. Rejoice, for worldly rulers fade away but you endure to the end. Rejoice, that we may rejoice because of you. Rejoice, that we may always behold you. Rejoice, that every person may be subject to you. Rejoice, that all the earth may bow before you. Our Lady of Kazan, undefiled and undefeated, we repent of our sins: pride, vanity, greed, arrogance, betrayal, entitlement, resentment, slander, and every unholy thought and act. At the root of our unhappiness are unbelief and lack of faith, for we silently consent to the false reasoning of the worldly. Most holy Theotokos, preserve us from these negative influences and direct our eyes to your glorious icon, that we may keep your purity before us in all that we say and do. With trust in your guidance, we say: Alleluia. Rejoice, hope of the repentant. Rejoice, stability of the merciful. Rejoice, defender of the righteous. Rejoice, helper of the prayerful. One of your icons was stolen in the twentieth century, by thieves who coveted the gold and jewels which embellished it. This is the way of the fallen – to take forbidden fruits and to hinder others from a vision of Heaven. Yet, your riches exceed earthly materialism and your presence overpowers every misfortune. In this way, holy Mother of God of Kazan, we realize true prosperity and noble victory. Every Christian may therefore confidently say: Alleluia. Rejoice, for your worth is beyond silver and gold. Rejoice, for you are bedecked in heavenly array. Rejoice, for in spite of theft, you minister to the faithful to this day. Rejoice, for regardless of loss, you continue to aid the righteous. Rejoice, for we enter church not to steal, but to venerate your icons. Rejoice, for we wish not to inflict sadness, but to spread goodwill. In our Time of Troubles, we are surrounded by idolatry and besieged by ungodliness. We are afraid to wear a cross around our neck, afraid to pray over our food in public, afraid of being labeled intolerant or offensive, afraid of being accused of a hate crime. O holy Theotokos, please be quick — send us aid before we perish under the malevolent armies marching toward us. Many are against us, and some are themselves misguided victims of indoctrination. Hear us who call upon you, as we pray for the mistaken and the deceived, that everyone may bow to you and say: Alleluia. Rejoice, for you soothe our anxiety. Rejoice, for you teach us what is right. Rejoice, for you ease our trepidation. Rejoice, for you guide us to the light. Rejoice, for righteousness withstands the passing of time. Rejoice, for truth pierces every disguise of the wicked. Rejoice, for you are resplendent with bravery. Rejoice, for you do the will of the True God. Rejoice, for you hasten to those who repent. Rejoice, for you help those who love your Son. Rejoice, for holiness sprouts from good roots. Rejoice, for you sow to the glory of the Sovereign God. Our Lady of Kazan, courageous and valiant, you fill us with mercy toward all seekers and the needy. We live in an era of father against daughter, student against school, official against citizen, insider against outsider, first against last – and all are troubled and some are merciless. This is the weakness of our time and the agony of our country, for we see people who are tossed by ill winds and who then clutch at false rescue. We implore you to liberate us, most holy Theotokos, from chaos and charlatans, so that we may shine forth in righteousness and say to everyone around us: Alleluia. Most blessed Virgin of Kazan, we do not force Christianity upon others, but there are some who would force other systems upon Christians. We are threatened by extremists and fanatics in the name of religion, and they lust after our conversion, captivity, or death. The Tatars of our time are relentless, but with faith in the Father Almighty and with your marvelous intercession, we continue to say: Alleluia. Rejoice, Lady Warrior who conquers with the light of truth. Rejoice, Sovereign Queen who rules with the glory of purity. Rejoice, capable Protectress who sees all who respect her holy icons. Rejoice, worthy Mediatress who knows where the righteous dwell. Rejoice, for our prayers rise to Heaven from our Time of Troubles. Rejoice, for our repentance pours out from a well of sorrows. Rejoice, that we may be a people of God. Rejoice, that we may be a land of righteousness. Rejoice, that your intercession might produce fruit in our nation. Rejoice, that your vigilance might bring safety to our cities. Rejoice, that we may give praise for each day of civilized relations. Rejoice, that we may thank you for every effort on behalf of Christians. Where did we go astray? Who bewitched us? When did we lose our First Love? How did we spiral downward into a morass of distraction, confusion, and neglect? Countrymen, do you not see the signs of an approaching storm? Christians, have you no understanding of the Penitent Woman? Oh, most blessed Virgin Mary, awaken us from our stupor and direct us to the precepts of the Church, so that we may say to one another: Alleluia. Rejoice, for nothing can prevail against the Church. Rejoice, for nobody is able to usurp the Kingdom. Rejoice, for we are not of this world. Rejoice, for we are baptized into the Faith. Rejoice, for your wondrous icons encourage us. Rejoice, for your glorious beauty invigorates us. Rejoice, for the gloom of ungodliness dissolves under the sun. Rejoice, for the flowers of righteousness bloom across the land. Rejoice, for we adore your Son and our King, Jesus Christ. Rejoice, for we wish to do the will of the Sovereign God. Rejoice, for your help is stronger than all misfortune. Rejoice, for your aid upheld young Matrona and Saint Sergius. May our lamentation be turned into joy, since the Theotokos herself intercedes for our victory. May our Time of Troubles motivate us to seek true spirituality and a life of prayer, so that our only aim is obedience to God and fulfillment of His Commandments. Praise be to the blessed Virgin of Kazan, and glory be to God in the Highest, today and forevermore. Alleluia. Alleluia. Alleluia. With heartfelt devotion, with deep repentance, and with mercy for one another, we pray to you, O Virgin of Kazan – our intercessor and a Protectress of Christians over centuries of war and crime. Save us from our own sins and from the sins of others, so that we may flourish because of you and become a grateful people of God. Yet, if we must suffer – since our fallen condition is filled with suffering – then strengthen us in spiritual battle and make us worthy witnesses of the True Faith. We know that you watch over us, and that you will lead us to victory if only we heed your calling and the Commandments of God. Illuminate us, O Mother of God of Kazan, so that we may rejoice under all circumstances and praise you for your wondrous vigilance and unceasing mediation. Amen. Αναρτήθηκε από amphilochios στις 11:15 π.μ.